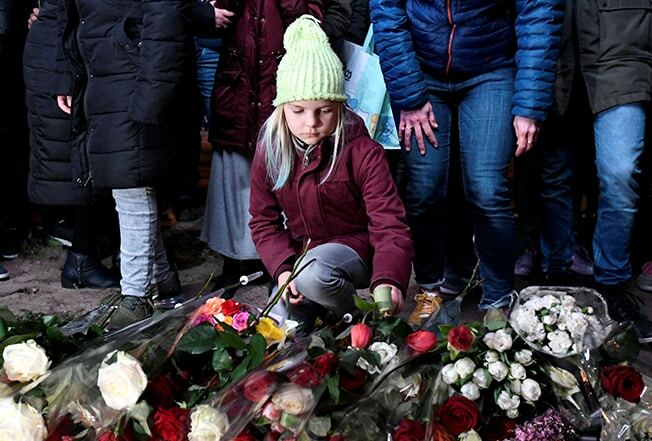 Several thousand people carrying red and white flowers, the colours of the flag of Utrecht, walked in quiet solidarity on Friday to honour the victims of a shooting on a tram in the ancient Dutch city. Three people were killed in Monday’s incident and five more were wounded – two of whom remain in critical condition. “We’re walking … to support victims’ families, to show our sympathy, and to make it known that yes also in Utrecht there is no place for hate and violence,” said Mayor Jan van Zanen in an address before the procession. Turkish-born Gokmen Tanis, 37, is accused of carrying out the shooting with terrorist intent. Authorities are also investigating whether he had other personal motives. On Friday, prosecutors said he admitted his guilt in a closed-door meeting with a judge, and he said he acted alone. Since the shooting, hundreds of people have laid flowers, candles, cards and photos in a growing tribute at the square where Friday’s procession was due to end. Those killed were a 19-year-old woman, a 28 year-old-man, and the 49-year-old father of two young children. Prime Minister Mark Rutte was among those who attended, along with the mayors of Rotterdam, Amsterdam and The Hague, local soccer players, youth groups, church groups, Muslim groups, one anti-Islam group, emergency service personnel, and thousands of everyday people from Utrecht and around the Netherlands. One group carried an huge red banner reading “Utreg Never Bows”, with Utrecht spelled in the city dialect. At the request of one of the victim’s families, Utrecht musician Martin van Doorn performed his song “If the Morning Never Comes”. Share your articles, stories or happenings around you with us.